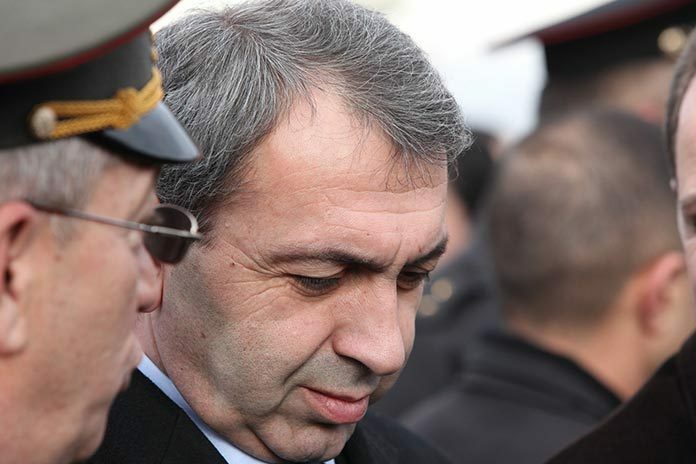 Armenian President Serzh Sargsyan’s decrees dismissing three senior officials of the Ministry of Defense in the wake of the fiercest battles in Nagorno-Karabakh since 1994 have mainly been hailed by the public and expert community of the country. While for some this step of the Armenian leader, who, under the Constitution, is also Supreme Commander-in-Chief of the Armed Forces, was expected, others, who considered it necessary, still were skeptical about such a possibility. On Tuesday, President Sargsyan signed decrees under which dismissed from their posts were Deputy Minister of Defense, Lieutenant-General Alik Mirzbabekyan, who is in charge of the Logistics Department, Chief of the Intelligence Department of the General Staff, Major-General Arshak Karapetyan, head of the communications troops of the Armed Forces, chief of the Communications and Automated Management Systems Department Major-General Komitas Muradyan. In fact, officials who were directly responsible for communications, intelligence and army supplies were dismissed from their posts. It is remarkable that after the April 5 verbal agreement on ceasefire in Nagorno-Karabakh, questions have been raised in Armenia about the armament of the army, intelligence and reconnaissance work and other aspects of the four-day hostilities with Azerbaijan. For Tigran Abrahamyan, an expert on security issues, dismissals at the Defense Ministry were a largely expected move. “It is obvious that the Armenian side is strengthening certain positions. New objectives have been set and a qualitatively new, higher level of fulfillment is expected, which also implies a personnel change,” the expert said in a Facebook post. Deputy Director of the Yerevan-based Caucasus Institute Sergey Minasyan also considers these dismissals “logical”. “Problems during wars arise in any army, no matter how combat ready it is or what level of armament it has,” he told ArmeniaNow. “It was clear to all that problems emerged and these dismissals are an answer to these problems. Some of these problems were objective, some were subjective. And in this case this is a step aimed at addressing issues of subjective nature,” added Minasyan, expressing a view that the president made this decision also due to public demand. Some, like political analyst Ruben Mehrabyan, do not consider the steps sufficient and demand more resignations. 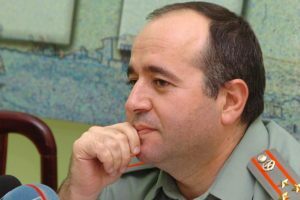 Political analyst Tatul Hakobyan also considers the dismissals of senior army officials as a form of accepting mistakes. “With these decisions Serzh Sargsyan says that we had serious problems in the army and perhaps it is because of these problems that today we have speak about a 100 casualties and some lost territories,” he said during a discussion on the Civilnet website.